When it comes to World Cup finals, Germany are the masters of navigating the tournament. Their only first round exit was in 1938, and they’ve reached the last four 12 times since, including in the last four finals running. Germany are the current holders, and are the 9/2 second favourites with Karamba to retain the trophy. The same firm offers just 1/3 that Joachim Löw’s side win Group F, so we will have to look elsewhere in the pursuit of betting value. 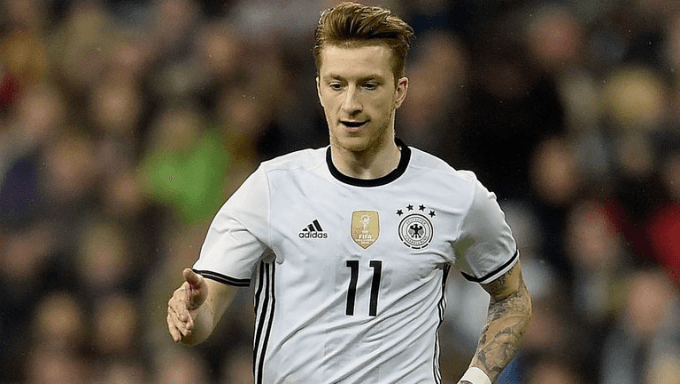 Germany get their campaign underway against Mexico, and the CONCACAF representatives are favourites to finish second in the group. Juan Carlos Osorio’s team are priced at 10/11 with Genting Bet to qualify, and they also offer 2/1 that Germany and Mexico finish first and second respectively, which looks a very tempting bet. The Mexicans topped the final North American qualification group, and their only loss in that section came once they had already qualified. Can they upset Germany in the opening match of the group? As they are priced at 6/1 with Sportnation to win that game, perhaps not. However, the holders are not in great form; they have only won one of their last five internationals, and that was against the World Cup outsiders, Saudi Arabia. In fairness, Mexico have only won two of their last five, but a common theme through their matches has been a low goal total. While Germany will probably beat them, it is unlikely to be by much. Five of the Mexicans’ last six matches have featured under 2.5 goals, and I think this one will too. That bet is available at 10/11 with bethard, and is definitely worth bearing in mind. When Mexico are in town, it’s definitely worth looking at the both teams to score market, and more specifically the ‘no’ end of it. At least one side has drawn a blank in their last six matches, and that also occurred in five of their seven active matches in their final qualification group (as both teams scored in the three games which occurred after they had sealed their passage to Russia). A ‘no’ bet for the Germany-Mexico match is available at 7/10with Mintbet, and looks very appealing. The same bookmaker offers the same odds for that outcome in Mexico’s meeting with Sweden, and I’d take a look at that too. The Scandinavians have only seen both teams score in one of their last five matches, and it only occurred in four of their ten qualification group games. Sweden then reached Russia by dispatching Italy in a play-off thanks to a 1-0 win and a 0-0 draw, so definitely bet against goal-fests in their matches too. From a football betting perspective, it’s a shame the Swedes don’t meet Mexico until the final match of the group. In isolation, it definitely looks like a game which would feature fewer than three goals and at least one side failing to score, but unusual things can happen in final group games; five of the 17 games which saw over 3.5 goals at the last World Cup occurred in that batch of fixtures. The match between Mexico and Sweden could also essentially be a qualification play-off game too, as it seems reasonable to assume both will lose to Germany but beat South Korea. It would be wise to judge the state of play ahead of the game before betting, but as it stands the odds of 17/20 for a ‘no’ bet on both teams to score, and the 8/13 for under 2.5 goals (both of which are with Ladbrokes) look the way to go there. Can South Korea spring a surprise along the way? The bookies certainly don’t think so, as William Hill price them at just 1/6 not to qualify. It looks more than justified too, as they weren’t even very strong in qualification. In their final group stage, Shin Tae-yong’s side only won four of their ten games. Those matches were all at home, and wins against Syria, Uzbekistan, China and Qatar won’t stand them in good stead for the quality of team they’ll face in Russia. Their recent form hasn’t been great either, with defeats to sides who haven’t qualified for the finals (such as Northern Ireland and Bosnia) hardly inspiring confidence. A treble on their three opponents winning against them only returns odds of around 5/1, but the form book suggests it’s a bet worth considering. Top online football bookies think the finishing order in Group F will be Germany, Mexico, Sweden and South Korea, and it’s impossible to make a case for any other scenario.